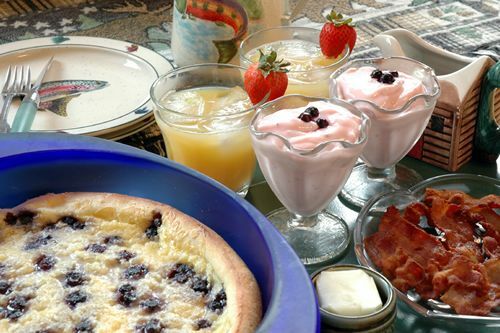 Our B&B guests enjoy this delicious breakfast on the first morning of their stay with us. It's a special family favorite from our Finnish roots, and guests who get their first taste often request it again. Berries, sliced bananas, sliced strawberries, etc. for filling. Top with butter, maple syrup or powder sugar, whatever you like.